As part of our South East Asia trip we spent time in Thailand on two separate occasions. On our first trip we spent four days travelling east towards Cambodia and then on our second trip we spent ten days island hopping around Phuket. Below is a roundup of my itinerary, where we stayed and how we got around. This city was everything I imagined it to be, separated in to the old city and new city, it has the perfect mix of Western and Asian feel to it. Here we experienced our first street food, got accosted every time we walked down the street and couldn’t stop staring at the power lines. It was the perfect introduction to Asia but my was I glad to leave after two days. We were going to spend a night in Ko Samet before but we managed to miss the bus and therefore ended up heading to Ko Chang instead. This island was my first introduction to a Thai island and it was a great place to start. It is not your typical island with no limestone casts and long tail boats. Still there was plenty to do here;: elephant riding, snorkelling, sunbathing, walking and diving. The island is beautiful and there is a good mix of developed and undeveloped areas. We then left Thailand for Cambodia via the Hat Lek/Cham Yeam border. Upon returning four or so weeks later we flew in to Phuket to allow ourselves maximum time on the islands. I would never suggest spending two days here, we didn’t plan to but after such a crazy few weeks we had nothing planned for our time in Asia and need a day to get everything together. The town is very quiet but that may have been due to the rainy season. 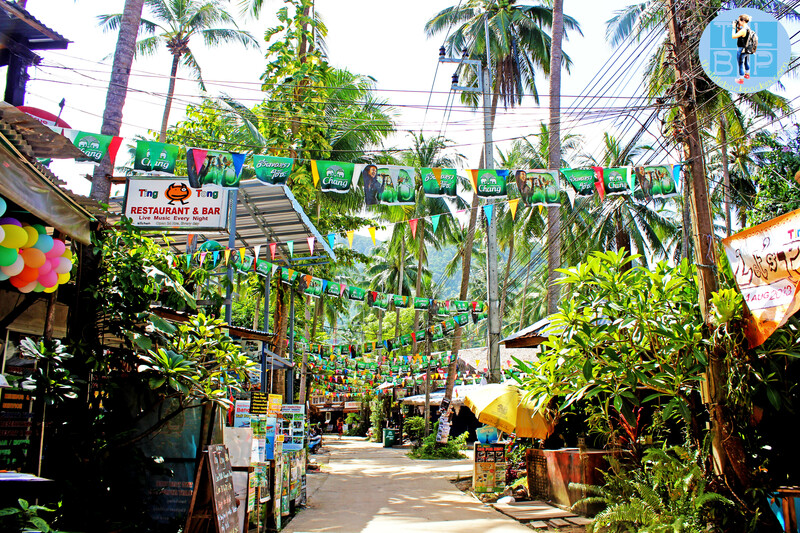 The only real reason for being in Phuket Town is because it is the gateway to Ko Phi Phi! Despite everything I read and everything everyone told me I LOVE PHI PHI. There was so much to see and do on the island and around. We took a trip to Phi Phi Leh where The Beach was filmed, went snorkelling, hiked up to the viewpoint and partied on the beaches at night. For me it was the perfect amount of tourist development. The beaches were beautiful and the sea crystal clear. 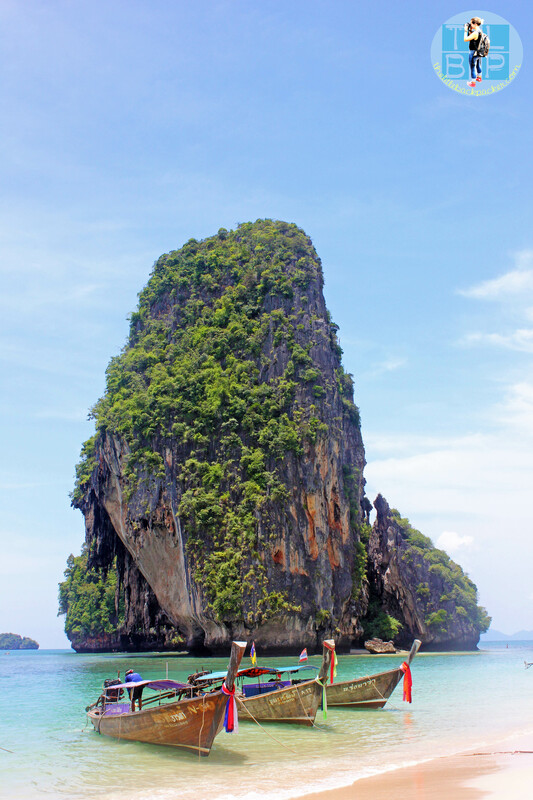 We went to Krabi for one reason and one reason only: to find Railey Beach. 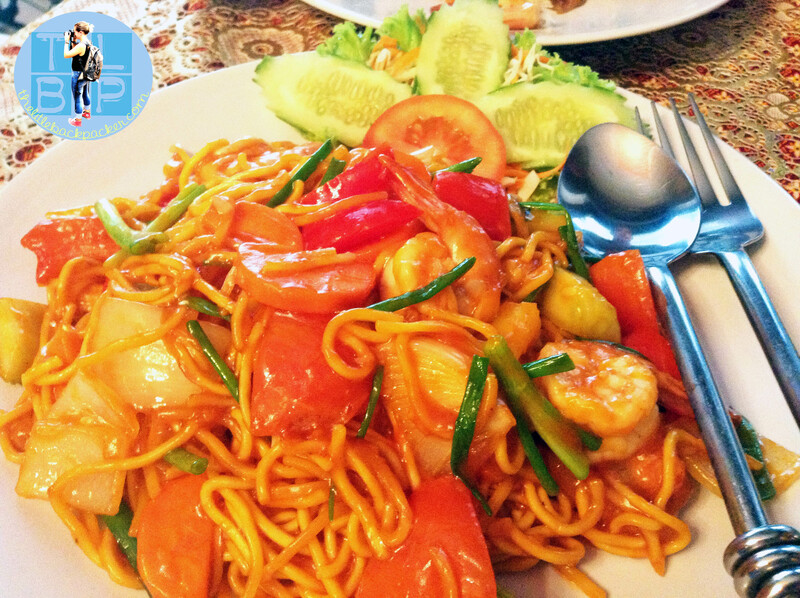 We stayed in the beach town Ao Nang which was full of shopping and good food places. From there we could take a long tail taxi boat to Railey Beach as well as several other beaches in the surrounding areas. I would not recommend staying here at all. It was the most tourist destroyed place I have ever seen. You could not walk down the main street by the beach without being accosted every two seconds. We had to stay in Phuket to catch a flight early the next morning and wanted to give Patong a chance, however I wish we hadn’t. Bangkok – Lub D Silom 4/5 – great location, lovely staff and great facilities; however is was the most expensive place we stayed in Asia. Ko Chang – Seaflower Resort 5/5 – this was probably my favourite place we stayed: sea view, cute bungalows with porches, good price and friendly staff. Phuket Town – Ekkamon Mansion 2/5 – the only good thing about this place was the cheap price; it felt like a motel and the staff weren’t very helpful. 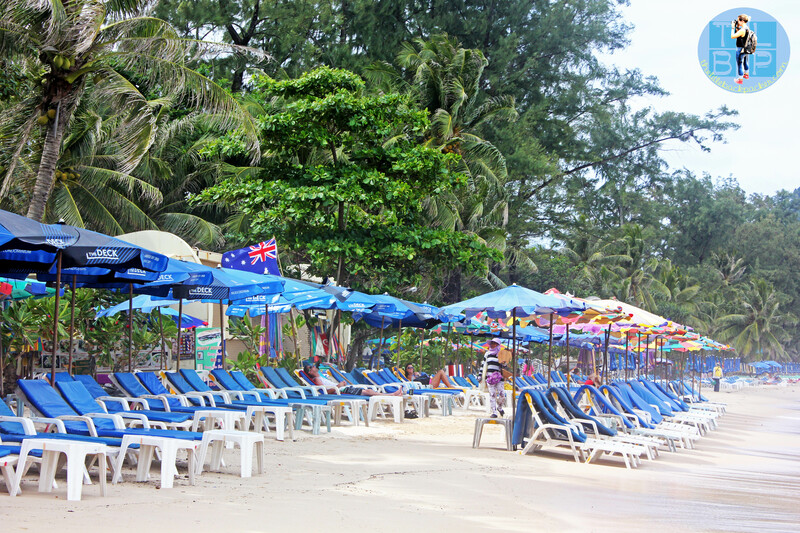 Patong Beach, Phuket – Squareone 3/5 – our room had no window and the staff didn’t seem to communicate with each other, otherwise a good location and a chilled out atmosphere. Ko Phi Phi – Tara Inn 3/5 – bungalows built behind the rooftop bar so it was rather noisy; friendly staff and a good price made it a plus for us. Krabi – Aonang Cosy Place 4/5 – beautiful room and access to a resort pool a small walk away, however the staff weren’t great and the location was a hike from the beach. Bus – We used government buses most of the time except for a trip between Krabi and Phuket – our experience of being herded around like cattle and left waiting for over an hour with no explanation left me wishing we had just taken the government bus that day too. Taxi – tuk-tuks are available everywhere and will pester you constantly. Depending on where you are will depend on what is classed as the tuk-tuk equivalent – Ko Chang had trucks with seating benches in the back whereas Bangkok had your typical tuk-tuk. Boats – We took ferries to and from all of the islands; each one will vary in size and how safe it is. Word of warning: in the rainy season expect the ferries to be extremely rough and the whole boat to be suffering from seasickness! I’ve been planning a trip to Thailand for a while now and this is a awesome resource! thanks! Beautiful pictures – this has really helped me with planning my trip for next year! Absolutely breathtaking. In love with these pictures!